Chill out guys, we are still here, only we needed some rest and recreation time before posting again:). The poll results were obvious, and I’m actually glad about that, because we can finally present a german vehicle. 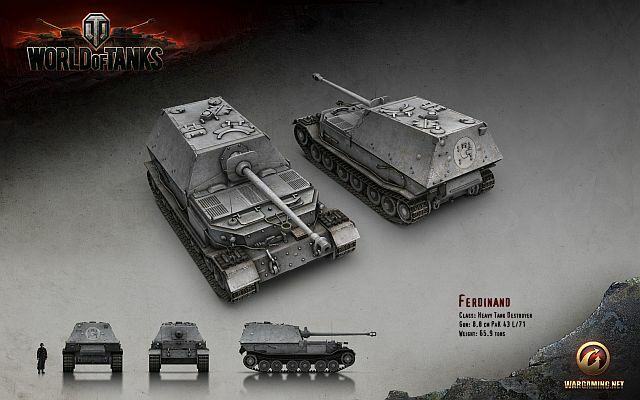 It’s with us for a while, the german heavy tank line split brought us not only the formidable E-75 or the E-100 and its often disputed quality, but this Tier7 gem. WoT Armory analyzes the Tiger P for you this time! The original Tiger tank in WOT can hurt most things with its powerful and accurate long 88s, but the archaic armor design performs poorly against end-war and postwar gunnery. Someone, who might expect battlefield dominance through the legendary big cat of the german war machine is probably in for a rude awakening, but the “P” has the ability to heal those early wounds. The Porsche-design looks more dashing and aggressive, at least for me. 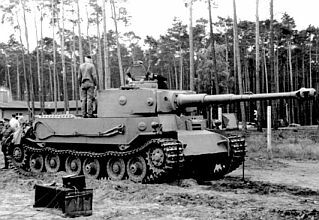 But whereas the Henschel Tiger is often just a big fat xp-bag, the Tiger P can take some serious punishment. What makes the Tiger P so such happy, purring kitty? A closer look tells, that the only real difference is two added plate (easy to recognize from the bolts) on the front hull, which raises the frontal armor to 200mm, doubling the value of the original Tiger. In World of Tanks, 200mm is a hard enough target for anything, even some Tier10 guns can get lower than that penetration rolls, not to mention some extra impact angle and penetration drop at range.